Ecologists and geographers love to search for spatial patterns, and might re-frame these questions in a different way: does the density of trees vary across cities in a predictable way? To what extent is urban tree density influenced by climate or latitude (from north to south) or socio-economic factors? If we counted trees in six big cities in eastern Australia – from tropical Townsville in the north, through Brisbane, Sydney, Adelaide, Melbourne, to Hobart in the south – would we see a north-south trend? Would tropical cities have fewer or more trees than the cooler southern cities? Alternatively – if you prefer to punt for your home town – would any of these cities have more trees than the others, regardless of where it is? To paraphrase the song, which city is ‘the real City Shady’? Which city has the most trees? Photo source: My Postal Cards. Fortunately, we can ignore the brochures and address the issue factually, based on a study by Jamie Kirkpatrick and colleagues at the University of Tasmania. Like the Victorian study in my last blog, the researchers counted trees in selected suburbs in each city, and compared the numbers against a range of socio-economic factors. They ignored city parks and counted trees in front and back yards and along city streets. Who wins the Shady City Award? The answer (as always) depends on where we look and what we count. When we peek over the fence and count how houses do and don’t have a tree in the yard, the answer is – surprisingly – a dead heat. Most yards in each city – from 70% to 85% – contain a tree, and this percentage doesn’t differ significantly across the six cities. But some yards have more trees than others. The average density of garden trees ranges from about 60 trees per hectare in Adelaide and Hobart to over 100 trees per hectare in Melbourne and Brisbane. By this measure, Melbourne and Brisbane win the Green Yard Trophy while Adelaide and Hobart share the wooden spoon. Garden styles change from north to south. Eucalypts, conifers and deciduous trees are uncommon in northern gardens, and most trees in Townsville and Brisbane are other evergreen trees (e.g. sub-tropical trees and palms). Sydney gardens have the most conifers and few deciduous trees, and the three southern cities contain a mix of tree types. Garden plants vary from north to south. Evergreen trees dominate Queensland’s beautiful gardens. Source: Queensland Places. Who wins the award? Unfortunately, it’s not Hobart. Hobart bottoms out again, and just 18% of houses in Hobart have a tree on the nature strip. That’s a pretty bare street-scape. The winners are … Melbourne (once again) and Adelaide. In both cities, 54% of the surveyed nature strips contained a street tree. 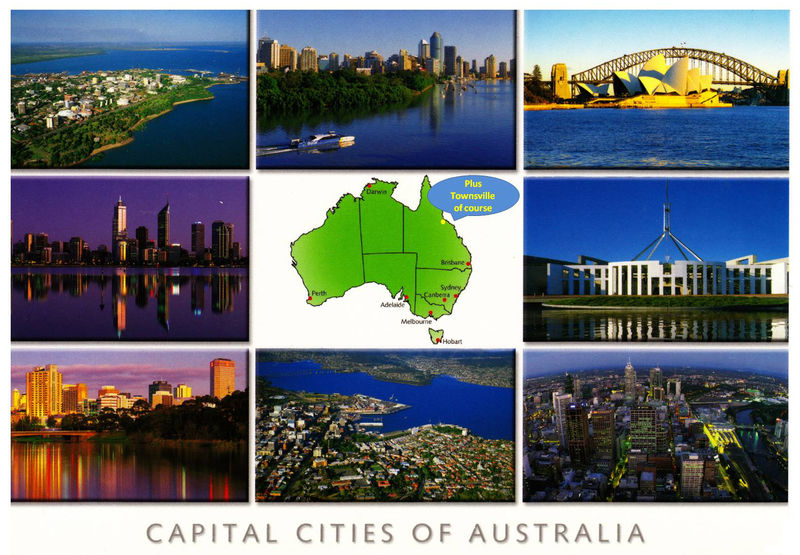 On both counts – the density of garden trees and the number of nature strips with trees – my old hometown Melbourne is, without a doubt, ‘the real City Shady’. All the others are just imitating. And Hobart? Well I guess the people of Hobart get a lot of good views. My last blog showed that – in cities in regional Victoria – tree cover was highest in suburbs that had more educated residents, more migrants and more middle-sized blocks. The Kirkpatrick study found similar patterns in the capital cities. 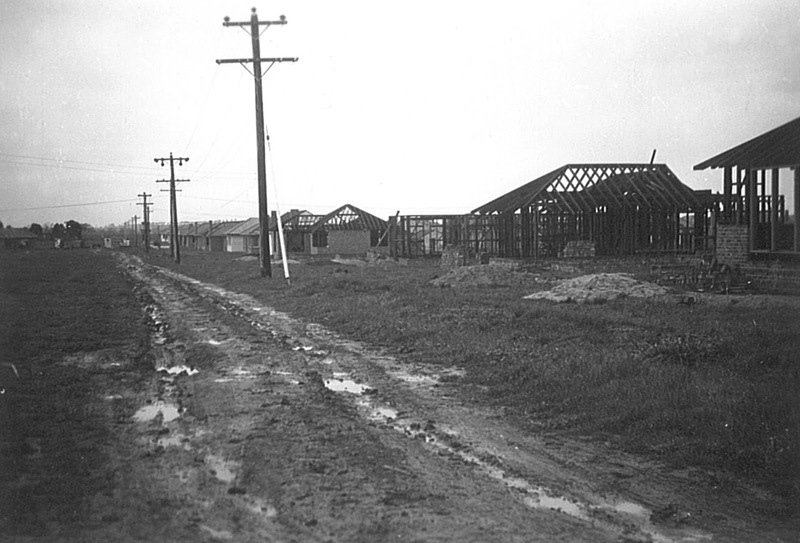 More house blocks contained trees in suburbs that were older, had bigger blocks and smaller houses, more employment and more residents who were born overseas. [The density of trees in yards showed a more complex pattern, because many expensive rental properties in inner suburbs also contain lots of trees]. Thus, in capital and regional cities we generally find more trees in older suburbs, on larger suburban blocks, where education, employment and/or income are high; and where there are many recent migrants. New suburbs with small blocks have fewer trees in gardens and along roadsides. Source: The Conversation. Both studies counted trees in the ground, not planting rates or budgets. It would be fascinating to compare tree planting, survival and turnover rates across socio-economic gradients in a future study. An American study, for example, found that street trees were more likely to die in areas of high unemployment. 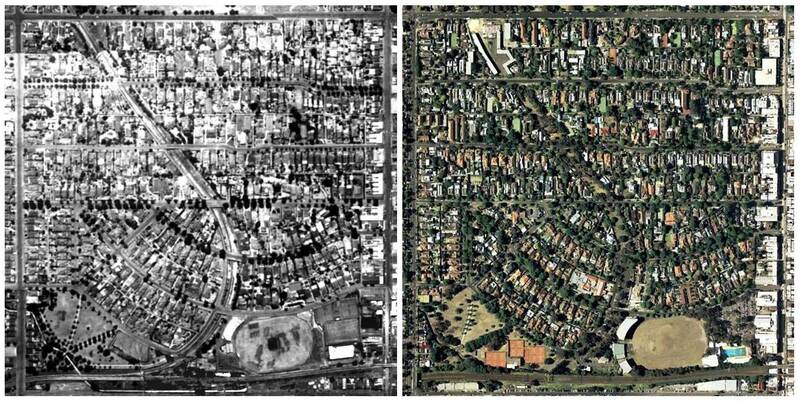 Greening the suburbs: Hawthorn, Melbourne in 1945 and 2009 (click on the image for a larger view). and the proportion of houses with a street tree increased from 22% to 41%. That’s a fantastic change; although there’s lots of room for improvement. The trend may be hard to continue in the future, especially on new sub-divisions with small blocks and big houses. But we can easily plant more street trees. I can’t imagine Slim Shady would ever say it, but everybody ‘please stand up, please stand up, please stand up’ for our street trees. So the shady marketeers of the future can truthfully claim every single city as the ‘the real City Shady’. Building the modern streetscape. Source: Yarra Plenty Local History. Dr Dave Kendal and Professor Jamie Kirkpatrick kindly fact-checked this week’s post. 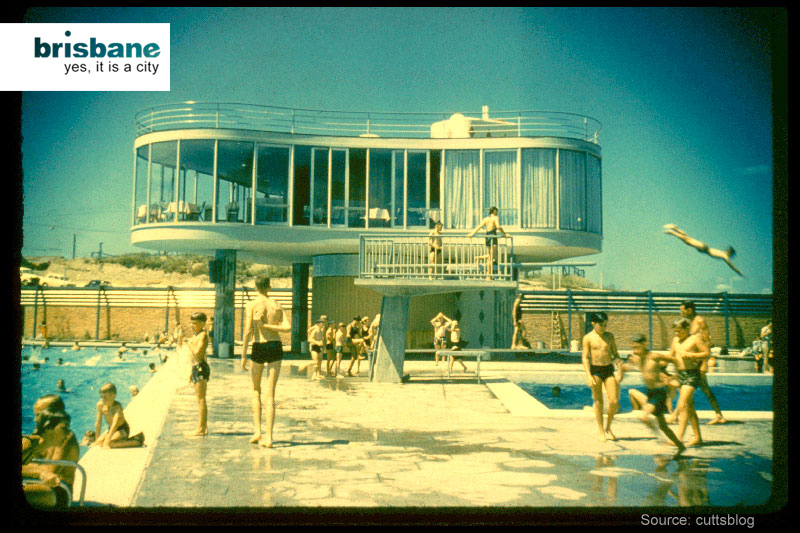 The wonderful image of the Brisbane swimming pool is taken from cuttsblog. This is the second in a series of posts on urban trees. In the next post: why do residents plant and remove urban trees? Don’t forget the repeat photo monitoring competition that’s running all year. Kendal, D., Williams, N.S.G. & Williams, K.J.H. (2012) Drivers of diversity and tree cover in gardens, parks and streetscapes in an Australian city. Urban Forestry & Urban Greening 11(3), 257-265. Kirkpatrick, J.B., Daniels, G.D. & Davison, A. (2011) Temporal and spatial variation in garden and street trees in six eastern Australian cities. Landscape and Urban Planning 101(3), 244-252. Prefer to follow my blogs on Facebook? I’ve finally joined Facebook to help share blogs with FB users. If you’d like to follow me on Facebook, please follow this link. Next Why do we plant and remove urban trees? When you come into Adelaide from the hills, it can look like you are about to enter a forest. However Adelaide was build on a grass plain where originally there would not have been many trees, and there were several swamps. When you look at the old drawings from settlement time, I think it is fair to say that there are probably more trees now! Sadly back yards are getting smaller to the point of nonexistent and now there is a trend for building second story houses, so population density will increase. Thankfully where I live the council is making an effort to keep corridors of vegetation and restricting the number of new buildings. The Northern suburbs which are newer are looking more and more like a concrete city and the street trees in some cases don’t look like they get enough light to survive. It used to be that many places had a fruit tree out the back, but that’s changing. Wow! The OASIS! I used to live a few streets away, and regularly visited its more sparsely-vegetated rival across the road, The Acacia (public swimming pools), as part of my school phys. ed. classes. Sadly, they are no more – likely due to the increasing popularity of backyard pools, the peacocks and cockatoos were rehomed, the palms and gardens ripped out, the land sold off and turned into housing. Ah, but this reminiscing is not the main reason for my reply. I’d like to say, THANKS Ian! for putting another easy-to-read article about urban trees on the internet – I enjoy your posts immensely. I wonder, though, how the City of Perth would fare in all these comparisons? Certainly the suburb I recently left looks similar to the photo captioned “new suburbs with small blocks…”. Each household verge was planted with one or two street trees, but these were quickly vandalised, or destroyed by verge parking, or died during the typical summer. Older suburbs usually retain their trees here, but often not without a fight. A group of us have tried to encourage developers to retain existing native trees rather than destroy and replant (now, there’s a novel concept! *sarcasm*) but it seems that usually it’s just “too hard” to downsize construction machinery and retrain planners and on-the-ground staff to protect diminishing bushland. Thanks so much for this post – it’s good to be considering urban environments. It made me reflect on some work l did a few years ago for residential character studies in various city councils in Melbourne. For these we drove down every residential street and noted down the presence/absence and/or types of street trees (native or exotic) as part of the data. It was apparent that street trees made a huge difference to not only the character of a street, but possible influences on enhancing a sense of pride in private dwellings (their gardens) where mature and well-maintained trees were growing along streets. It would not surprise me if the presence of these trees also added to the economic value of the properties because of the aesthetics they provided the properties- the ‘borrowed landscape’. I may be out of date, but l believe that in some of these suburbs retention and protection of trees is integral to the Significant Landscape Overlays (SLOs)-which are coincidently closely associated with property values, cultural values and sense of place- with the added benefit of the properties you’ve mentioned here and in your last post. These SLOs also assist in some way (but not always) in protecting the large old trees. I wonder if this kind of inter-relatedness can develop over time in the recent subdivision developments? Yes. Moved to Hobart in 1985, found that many long term residents had the attitude that if it was higher than your fence, it needed the chainsaw! An attitude which seems to be softening over the years, but you’re right, it wasn’t motivated by lack of aesthetic values – it was an aesthetic that valued lawns, views, and so on. Which was infuriating and led to many arguments! The Oasis sent me on a trip down memory lane also, having grown up in the area and spend lovely childhood and teenage days in it’s seemingly enormous pools and shady gardens. The slippery concrete must have been an OH&S nightmare though, in simpler times… Following this lead I found myself exploring the Brisbane Images website of Brisbane City Council and searching for pictures of the suburbs from my youth. https://library.brisbane.qld.gov.au/client/BrisbaneImages/? The number and variety of images is amazing and salutary – and relevant to your line of inquiry if you are interested in comparing vegetation change over time. There are many streetscapes or individual housefronts included in dated photos, also showing changes in infrastructure such as road sealing in outer suburbs. Other cities may offer a similar service and readers might also be tempted to have a look. Try searching the year of your birth (not telling) for a bit of shock therapy. Here’s an example: View of Hamilton towards City from Bartleys Hill in 1930 https://library.brisbane.qld.gov.au/client/search/asset/41939 A panorama where individual trees can be seen and perhaps even identified like the Bunya and Hoop pines, centre right. Compare with recent pictures from the same lookout https://foursquare.com/v/bartleys-hill-lookout/4b33fc6bf964a520702325e3/photos but unfortunately partly obscured by trees! 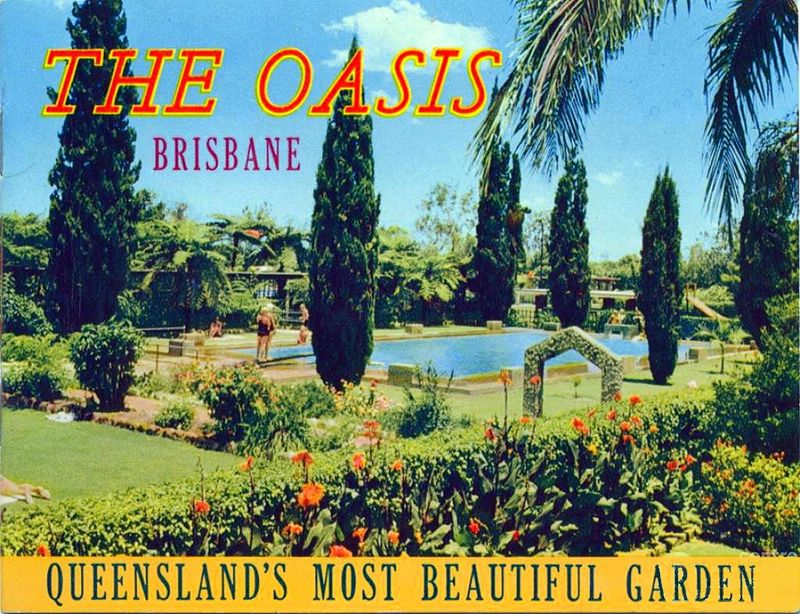 By the bye those into nostalgia and The Oasis in Brisbane should see the results of the 2003 Australian Garden History Society Conference in Brisbane edited by Glenn Cooke and published in the Queensland Review by Peter Spearitt; several excellent papers on its history and demise!